Lithium (Li) is one of the most popular raw materials for modern technologies. With the prospect of electricity management from renewable sources and the proposed development of electric mobility, the use of lithium batteries will increase substantially in the next decade. In Europe, the Bohemian Massif is a positive geological anomaly, containing the largest potential Li resources within the European Union. 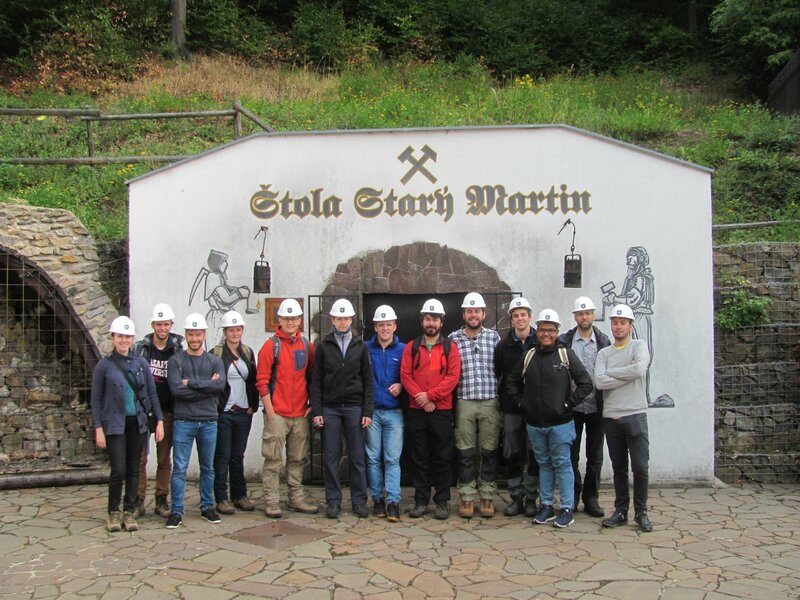 In order to support the theoretical knowledge of geological processes leading to lithium resources and to provide young scientists with information needed for lithium ore prospection and analysis, the Institute Geology of the Academy of Sciences of the Czech Republic organized the Course of Lithium Geology for graduate students. The course took place on August 27–September 1, 2018, in the Krušné Hory Mts. (Erzgebirge) with the participation of 13 students from 9 countries. Up-to-date scientific knowledge was provided to them by four leading specialists from the Institute of Geology, the Masaryk University and the Mendel University. The course also included an excursion to the former tin mines, now potential lithium sources, near Krupka and Cínovec. The course was funded by the Academy of Sciences with the help of geological companies TIMEX Zdice, s.r.o. and Geomet s.r.o. Brno.